Leonid Eitingon was a KGB killer who dedicated his life to the Soviet regime. He was in China in the early 1920s, in Turkey in the late 1920s, in Spain during the Civil War, and, crucially, in Mexico when Trotsky was assassinated. 'As long as I live,' Stalin had said, 'not a hair of his head shall be touched.' It did not work out like that. Max Eitingon was a psychoanalyst, a colleague, friend and protege of Freud's. He was rich, secretive and - through his friendship with a famous Russian singer - implicated in the abduction of a white Russian general in Paris in 1937. Motty Eitingon was a New York fur dealer whose connections with the Soviet Union made him the largest trader in the world. Imprisoned by the Bolsheviks, questioned by the FBI, was Motty everybody's friend or everybody's enemy? 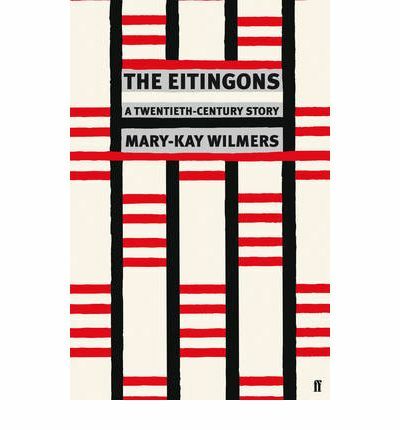 Mary-Kay Wilmers began looking into aspects of her remarkable family twenty years ago. The result is a book of astonishing scope and thrilling originality which throws light into some of the darkest corners of the last century. At the centre of the story stands the author herself - ironic, precise, searching, and stylish - wondering not only about where she is from, but about what she's entitled to know.